Nine RAF Poseidon P-8 aircraft will be based at Lossiemouth from 2020. The multi-million-pound investment into the north-east’s largest air base is now expected to be even bigger than first expected. 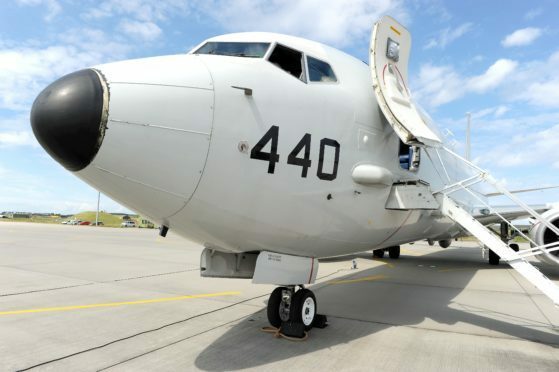 The revamp of RAF Lossiemouth was initially expected to cost £400million as part of a Ministry of Defence project to get it ready for Poseidon P-8 submarine hunting spy planes. However, now it has been revealed that the US Navy will also plough about £63million into the base to allow American aircraft to operate from there – delivering more contract opportunities for construction firms to be part of the huge expansion. Yesterday the MoD confirmed that the overseas investment is in addition to the cash already committed to the Moray airfield. The money from the US force is expected to create additional aircraft parking for its own Poseidons as well as extra hangar space and accommodation. Norway is also due to start using the Poseidons in the coming years and crews are expected to make regular visits to Lossiemouth while they monitor the seas. Last night, Moray MP Douglas Ross explained that the UK Government investment in the base had unlocked further spin-off benefits. He said: “RAF Lossiemouth is a key asset for our armed forces. The UK Government investment has given confidence to others to utilise Lossiemouth as well and it’s great to see our partners overseas recognising its benefits and investing there too. Moray MSP Richard Lochhead praised the news as a further sign of the importance of the campaign to keep the base open in 2011 when it was threatened with closure. The US Navy investment is expected to create fresh subcontracting opportunities to local firms to be part of the construction process – on top of the £100million worth of opportunities made available from the MoD project. Construction on the hangar and tactical operations centre for the RAF planes are expected to sustain 200 jobs. It is not known how many overseas planes are likely to operate from Lossiemouth. The MoD has stressed the investment will not create a permanent American base. A spokesman said: “We are investing £3billion in our nine-strong P-8 Poseidon fleet over the next decade.